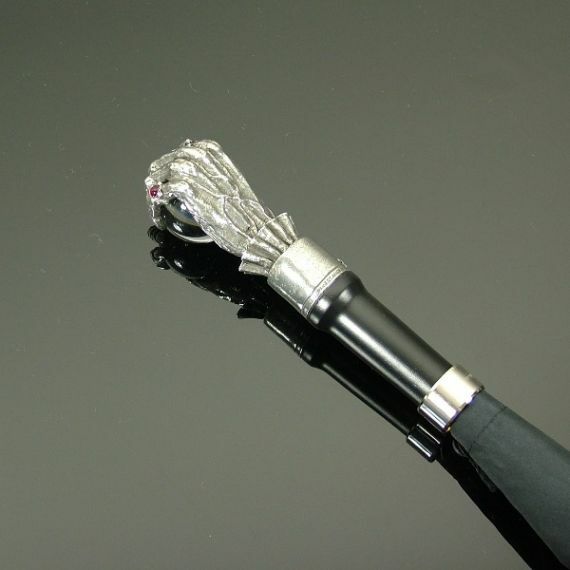 The English Bela Lugosi Hand & Ball umbrella is made on a 25" Fox Steel Tube Frame, with a Nickel Tip Cup and Best Polyester cover and case. Named after the Hungarian actor Bela Lugosi who is best known for playing the infamous character of Dracula throughout the first half of the 20th century. 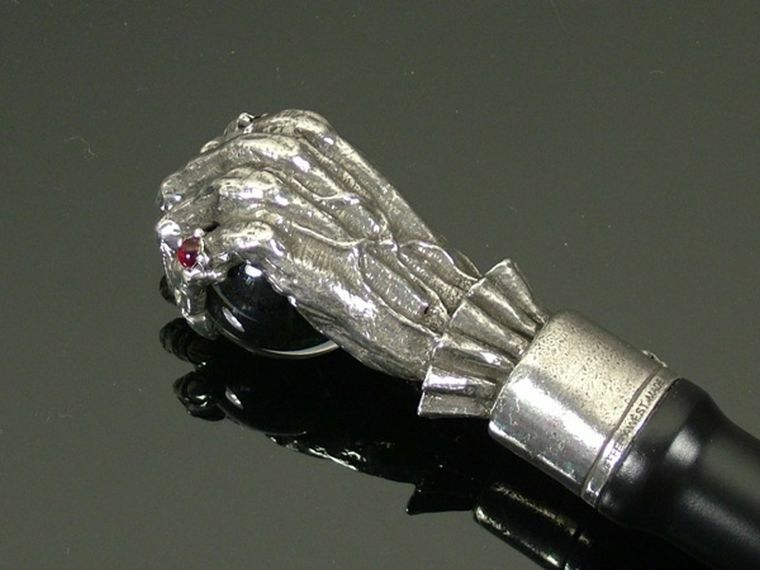 Dracula's hand is replicated here from hand polished pewter and tightly grasps a smooth crystal ball. The length of this umbrella is approximately 36" (91 cm) from handle to ferrule and the weather proof cover when opened is approximately 50" in diameter (127 cm).